One of the great mysteries of the book world (to me, anyway) is how books get sorted into categories. Margaret Atwood’s futuristic novels are general fiction, but Octavia Butler’s are science fiction. Emily St. John Mandel’s zombie and contagion novel gets nominated for a National Book Award, but Stephen King still gets dismissed as just a horror novelist. 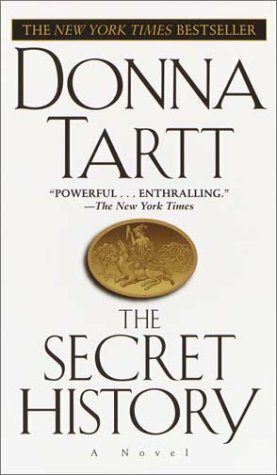 And Donna Tartt’s The Secret History is a literary darling, while Ruth Rendell’s novels are often noticed only by readers of crime fiction. I read Donna Tartt’s The Little Friend when it first came out and liked it more than most seemed to (although I didn’t love it). People kept telling me that her debut, The Secret History, is so much better, and it certainly seemed like the kind of book I liked. It’s a crime novel in which the murderer confesses right up front and the book shows why and how the murder was done. This is one of my favorite kinds of crime novel. And that’s what The Secret History is, a very good crime novel. The Secret History is the story of a tight-knit group of classics students at a small New England college. Our narrator, Richard Papen, has transferred into the college and managed to wheedle his way into the exclusive classics program, which includes only five students and the professor Julian Morrow. We know from the beginning that somehow Richard and his classmates will end up killing another classmate, Bunny, but it takes a few hundred pages to learn why or how. As we journey to the conclusion we know is coming, we’re immersed in a world of alcohol, drugs, class consciousness, and 20-somethings’ quests for identity, put in a pressure cooker and set on high. One of the things I enjoyed about the book was the angle on class and how much the characters’ desire to belong affected their actions. These people egg each other on toward actions that become increasingly destructive. The specific actions that lead to their first fatal error are presented as part of a pursuit of knowledge, but that’s just how they set their violence apart from what might arise at the less academically inclined bacchanals going on all over campus. When Richard breaks off from the group and goes to more typical university parties, what happens seems somehow healthier and less sordid, perhaps because it’s more honest. They’re kids, goofing around—irresponsibly but less destructively than the toxic classics coterie. I read the book in a day and enjoyed it, but the plot did get preposterous at times. There were times when the characters’ secrecy (and lack of it) seemed not just over the top, but implausible. Some of their actions could be chalked up to being young and arrogant and under stress, but I wonder if I read more slowly and took time to think about it whether the plot might fall apart. But as I was reading, I was having too much fun watching the story come together to do anything other than shake off my reservations and just let myself be entertained. That’s really interesting about your college! I almost mentioned in my review that the college experience she described seemed really foreign to me, despite my being in college when the book was published (and thus presumably around the time it was set). But then I decided my college experience was pretty far from the norm, so maybe what she described wasn’t so unusual. Ha! I’ve not know many classicists, so I can’t speak to their weirdness, but the way she shows tight groups developing their own incomprehensible logic seems pretty true to life. I just wasn’t always convinced the group members were acting in ways that made sense according to what we’d seen of their characters. It’s something I’d need to think through more. I read this just as pure crime fiction and enjoyed it as such, but I agree with you about being perplexed as to why it made the splash it did. I haven’t read it for years and following the success of ‘The Goldfinch’ (which I also think could well lose a couple of hundred pages) I had thought about going back and re-reading, but perhaps I would be better advised just to let my positive memories remain. As straight-up crime fiction, it’s a good read, but I don’t think I’m likely to revisit it. I may read more Tartt though. Yeah, I wonder how many of the critics who were blown away by this had read Barbara Vine or similar authors. I think, too, a lot of classics geeks liked that angle, which I can understand. Gone Girl’s wicked spin on love and marriage made it feel more original to me than this did. It’s now over 20yrs since I read it, and I can only really remember it being a bit longwinded. Having just read The Goldfinch (also too longwinded), I would like to read The Secret History again. AnotherBookLook’s comment is fascinating! I didn’t particularly mind the length, but some trimming wouldn’t have hurt it much either–and might have helped. The length is one reason I’m in no hurry to read The Goldfinch. It sound like something I might enjoy, but I’m not certain enough to set aside time for it. I don’t think Bennington in the 1980s was exactly the college norm either. Another good example is The Road. 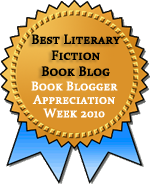 I came across many reviews (by pros, not bloggers, who knew read more widely) who seemed to think that Cormac McCarthy had invented the post-apocalyptic genre. Readers with even cursory knowledge of science fiction knew that there have been hundreds of similar novels. You would think the reviewers would at least have heard of the Mad Max movies. I figure that someone who was ensconced in the campus Christian community and whose idea of partying in college was 1 am Slurpee runs has no business commenting on whether someone else’s college experience seems typical. I thought of The Road as another good example, too. The writing set it apart, but the story was nothing new. [snort] You have every right to comment on the typical college experience. Just not to claim yours was it. Well, there’s commenting and then there’s complaining that someone else’s experience isn’t realistic because no one I knew in college drank that much or got alcohol that easily. Yeah, but what about that friend we killed on one of those 1am Slurpee runs? Totally typical! I didn’t say everything about it was unfamiliar! I think I found this book irritating because I overreacted to the hype — you are more generous than I was. I thought it was unoriginal, under-edited, and only workmanlike in the way it was written. Give me Barbara Vine or Patricia Highsmith! More succinct, often creepier, and usually better prose. I thought The Little Friend was quite a bit worse, and didn’t want to read The Goldfinch at all as a result. But everything can’t be for everyone. I think the book benefited from my reading it in a day, so I didn’t have time to get annoyed by its length. But, yeah, definitely not as original as I expected. I keep thinking of A Fatal Inversion, and it suffers in comparison. King’s work may be uneven, but his good books are really quite good–and there are plenty of them! Yes, 100 pages shorter would have improved it. I read it far slower than you did and was more critical–but I finished it and there were parts I really liked. Actually, the idea of the classics coterie would have been enough for me without the Lord-of-the-Flies-esqe murder. If I’d slowed down and thought about the story more, I’d probably have more complaints, but there was enough good stuff to entertain me for a day.